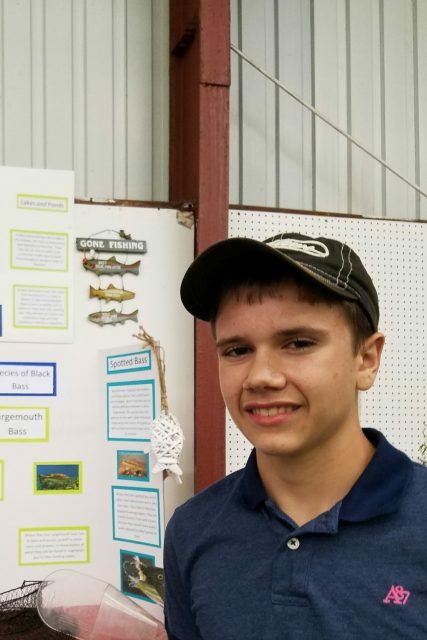 Donovan is a Sophomore at Forest Hills High School in Sidman where his Envirothon team placed second last year and has hopes to surpass that with a first place win this year. He is also a member of 4H, where he found about the WLA program. This year he placed First in the Junior compound bow competetion at the state level. He is an avid fisherman, hunter, archer, and enjoys being outdoors. He has attended both the Brookies and Bass Field Schools. This year he will return as an apprentice to deepen his knowledge and love for the outdoors while mentoring younger students. Donovan also is involved in many other clubs within his community and school. He sings in the men’s choir, serves as an usher, attends youth group, serves on the board for the youth, participates in Rise up Against Hunger, and attends Journey through our local AWANA club. Although Donovan is very busy he still submits a monthly blog and participates in the WLA activities offered while maintaining over a 4.0 GPA. He thanks the WLA for the experiences he has obtained and the life long learning experiences.